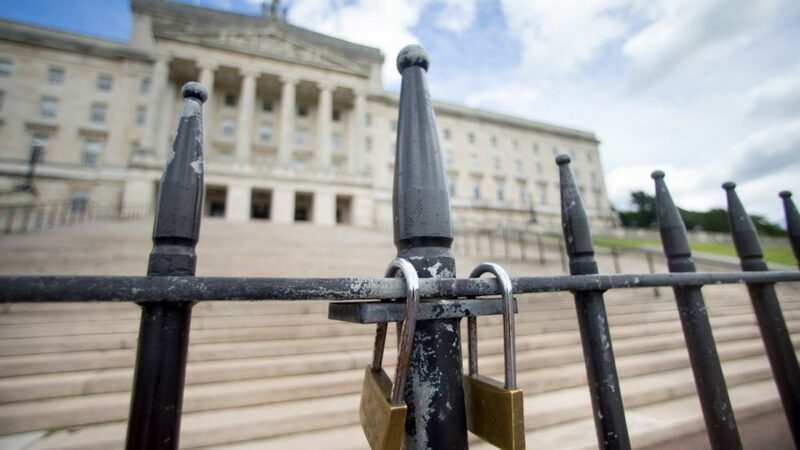 Northern Ireland’s political parties have until today to forge a power-sharing agreement or risk a budget being imposed on the devolved region by London. Belfast has been without a government since January when the left-leaning nationalists Sinn Fein quit a grand coalition with the unionist DUP over a bungled renewable energy scheme. The main sticking point between the two powerful parties is passing a new Irish language law—the republicans wish to expand the official use of the language in areas like public signage and education, while the DUP has refused to give ground. As such, the two parties are deadlocked and are unlikely to reach a deal by today. Without an agreement, Westminster is likely to impose a budget on Belfast to keep the region running, stoking fears of direct rule from London. On its own, that prospect would inflame tensions in Northern Ireland—worse still, the DUP’s propping up the minority Conservative government tarnishes London’s claim to neutrality. Republican outrage would then jeopardise the Good Friday Agreement and worsen hostilities with unionists, making a restoration of the fragile peace a more and more distant prospect.